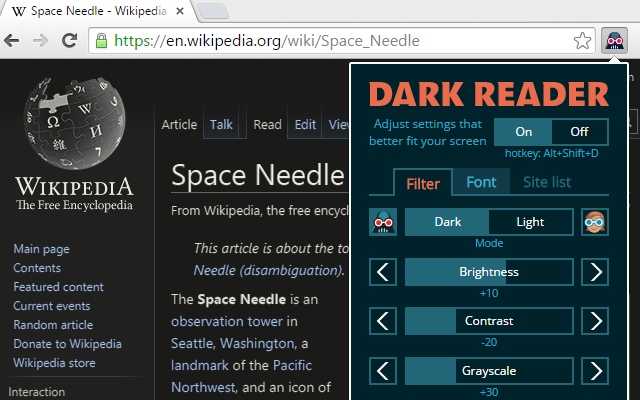 Dark Reader is a browser plugin, available for Firefox, Safari and Chrome, that gives any website a light-on-dark color scheme. Unlike some other efforts, it can invert images too. You can tweak on a per-site basis, with sliders for grayscaling, contrast, font substitution and such, and it remembers your picks. See how pretty it makes our gift guide!